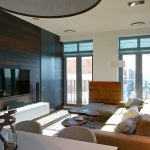 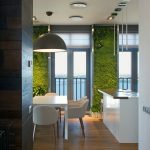 Located in Dnepropetrovsk, Ukraine, this family apartment accentuates the extensive view of the city and the Dnieper River. 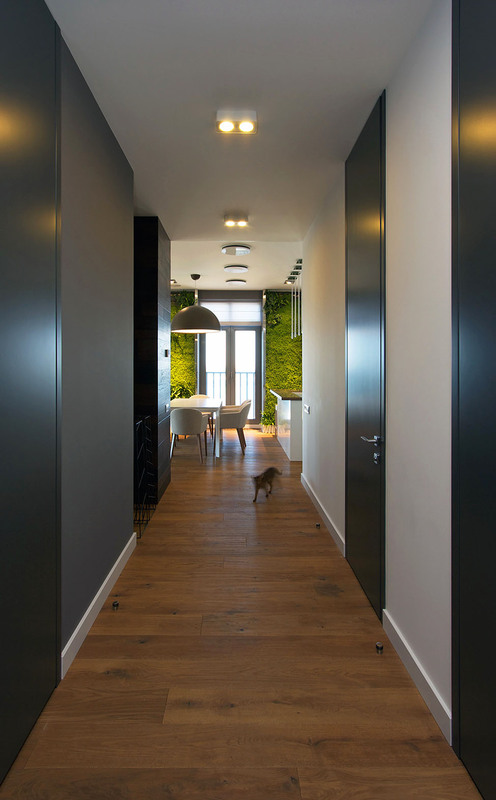 With its medium extent, this apartment allows to occupy a small family and provide comfort to optimize daily living. 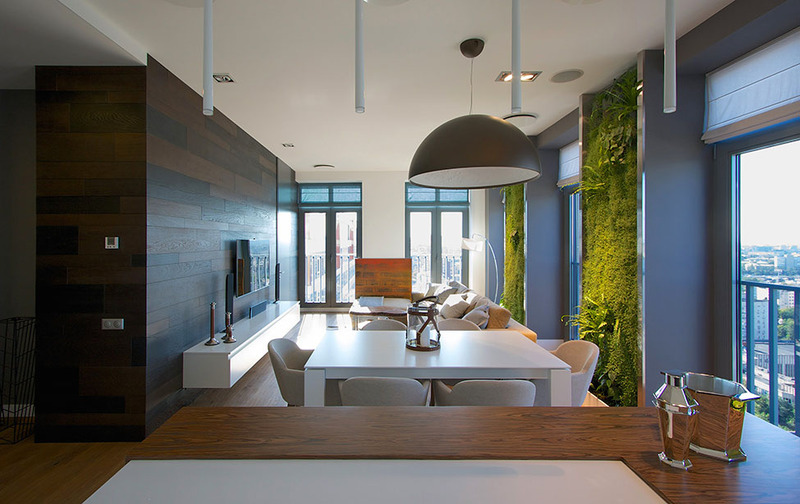 The attractive feature within this living space is the biotic garden that vertically fills the area among the windows. 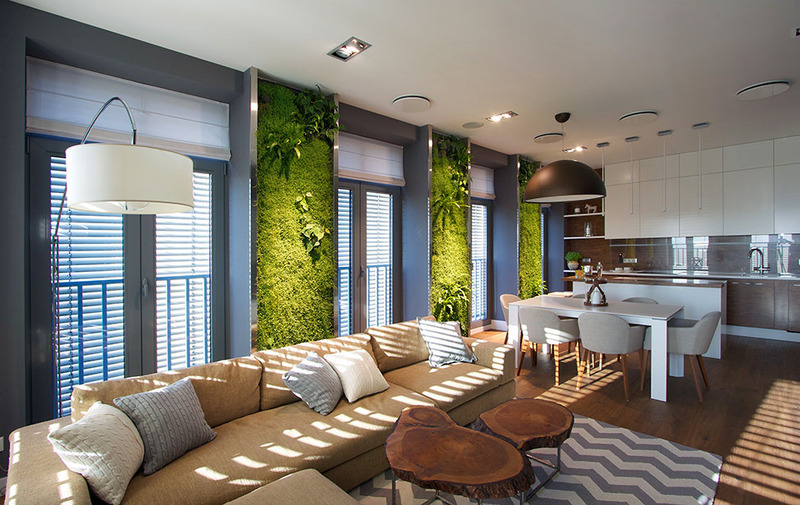 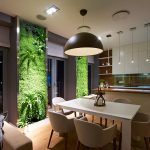 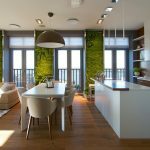 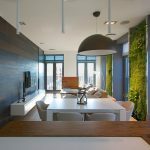 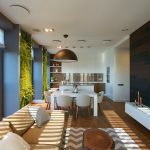 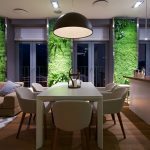 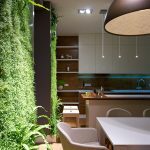 A standing ovation has to be granted to SVOYA studio for their creative power to bring real biotic vertical garden into this medium-sized apartment. 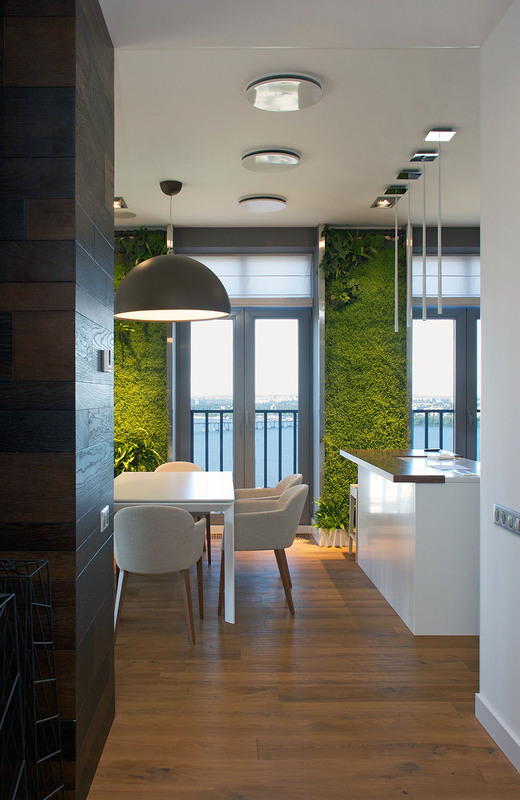 The designers are essentially inspired from the river and ambitious to preserve relationship between the nature and modern life. 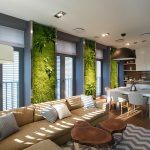 Arranged vertically within the main room, this biotic wall transforms to be te focal point, overlooking the astounding landscape of the city. 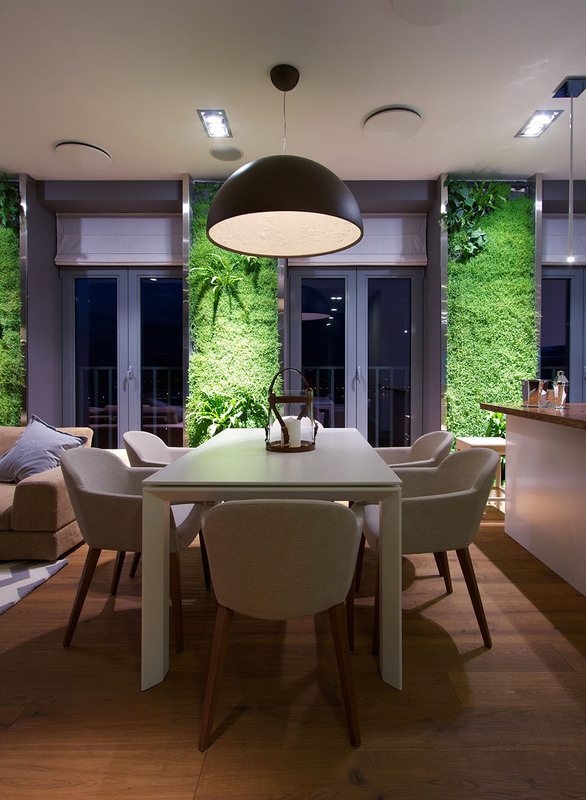 For little dramatic effect, a set of downlight installed to gleam the mini jungle by night, adding refreshing feel throughout the space. 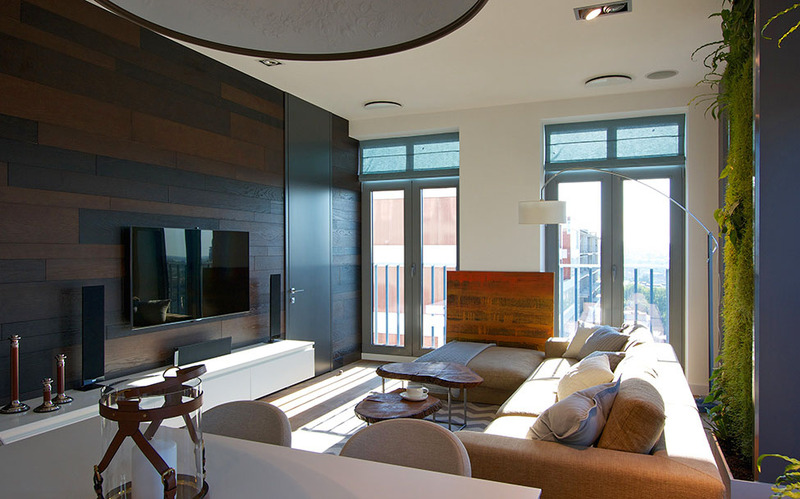 The presence of rustic wooden coffee table in the living room and the installment of wooden floor and wooden wall intensify natural element that is successfully integrated with the modern design. 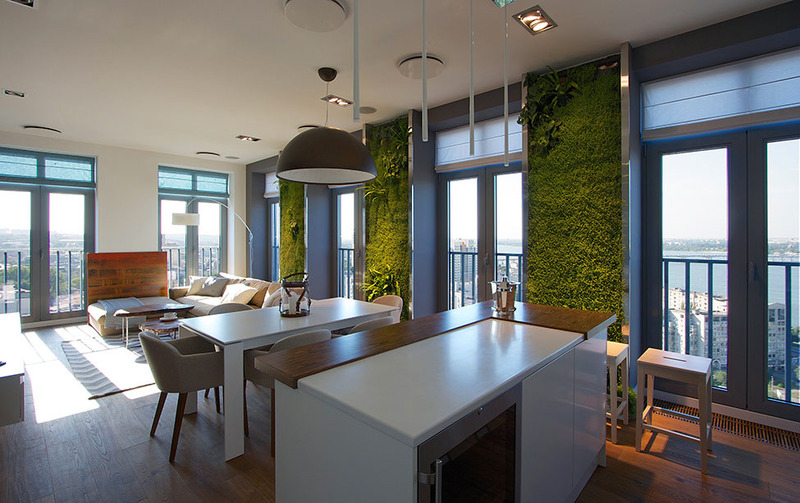 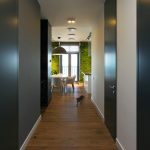 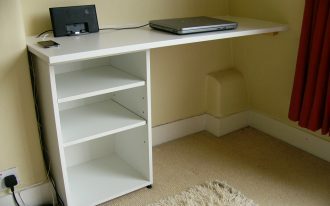 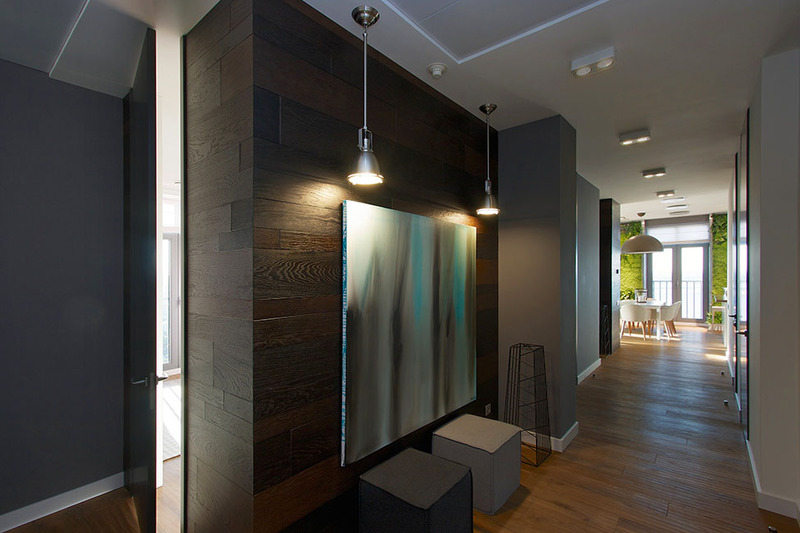 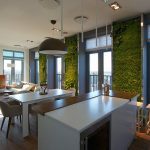 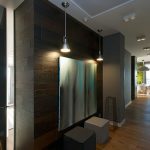 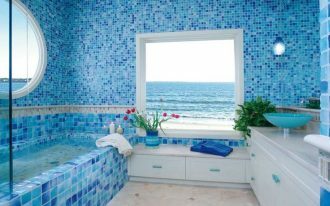 Biotic wall within an apartment promotes not only fresher air for improved health but also relaxing and cozy atmosphere. 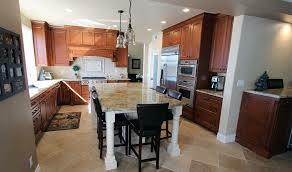 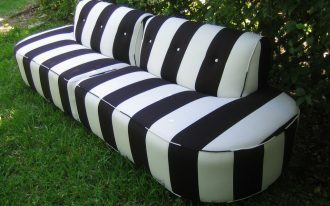 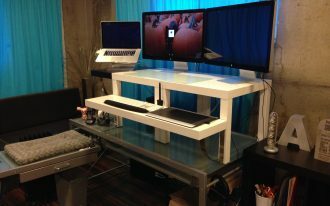 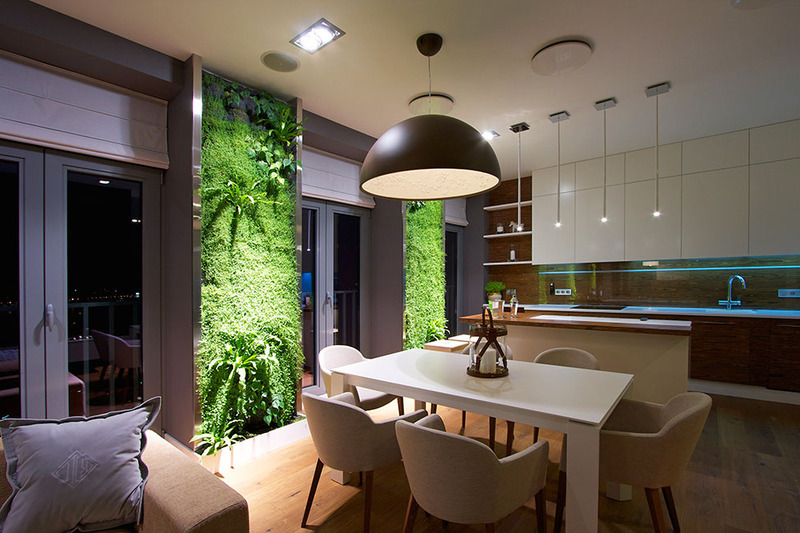 It is the best solution for the absence of green space to sustain healthier life. 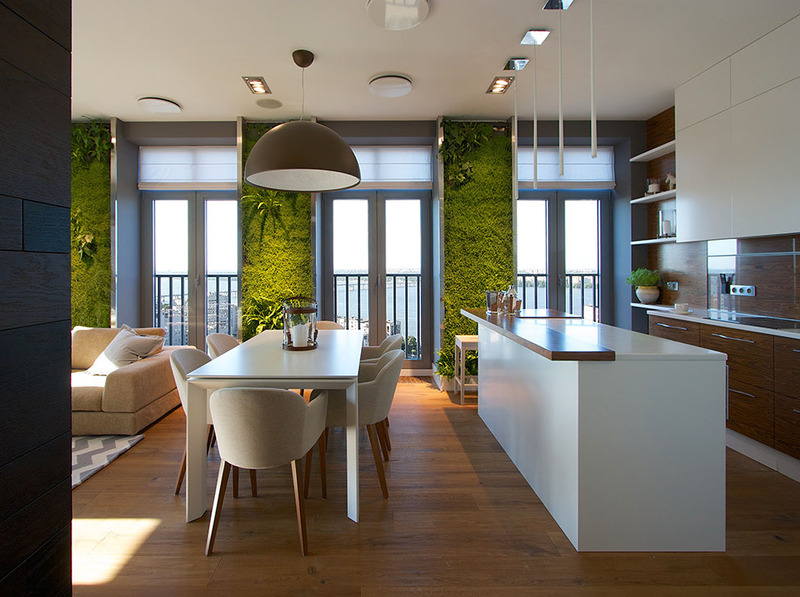 The harmony of nature and modernity, as the apartment concept, gives additional ‘wow’ factor and is a brilliant idea to maintain intimacy with nature. 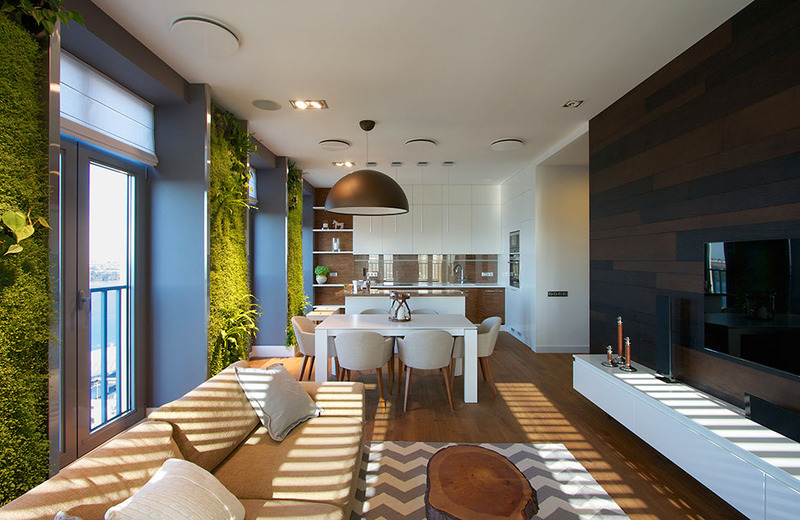 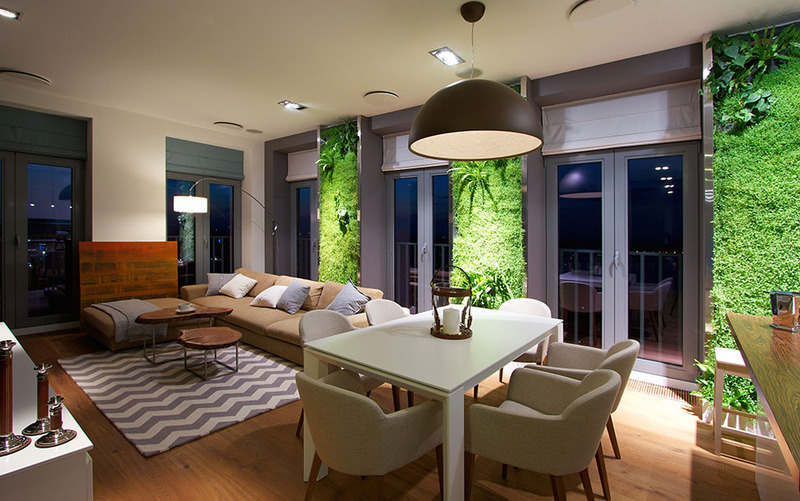 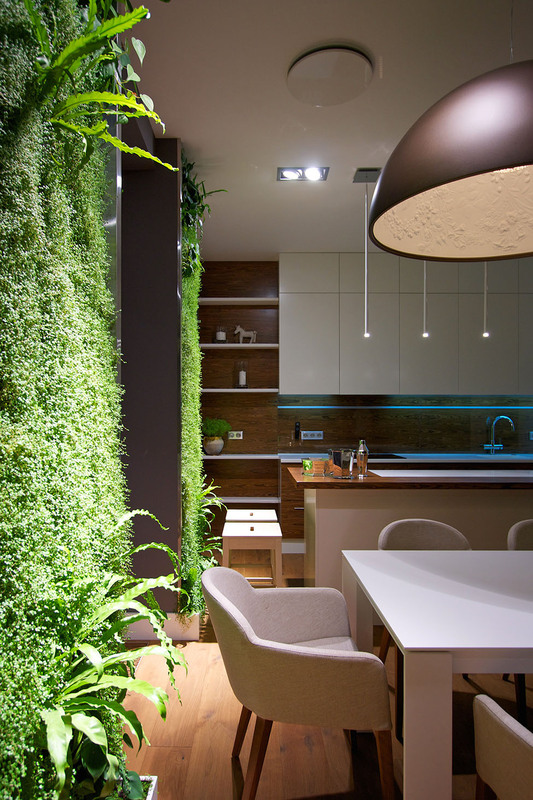 Further, this family apartment proves that owning biotic vertical garden inside the apartment is no longer a dream.